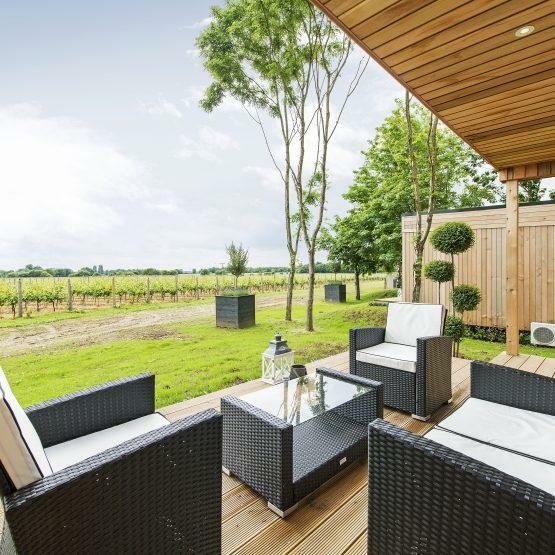 Each of our 3 beautifully modern lodges are raised above our vineyards for breathtaking views. 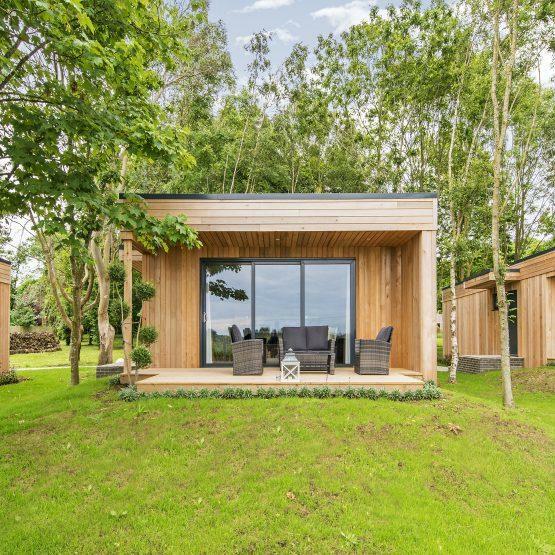 The lodges are beautifully furnished to a high standard for both luxury and comfort so guests can enjoy the peaceful surroundings of the Estate. 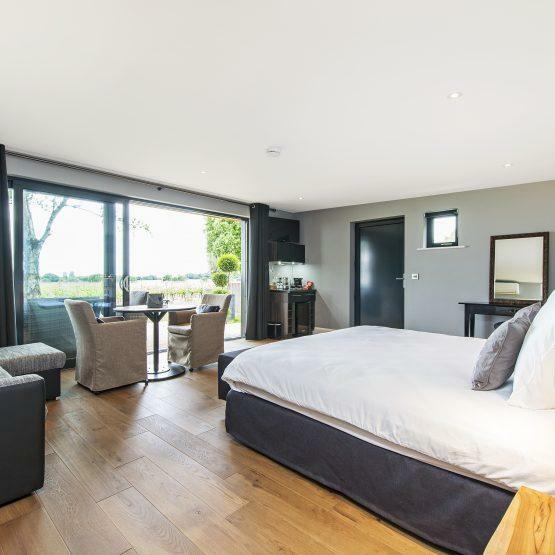 Based only a mile away from the world famous Goodwood Estate at the foot of the South Downs National park and 10 minutes from Chichester city center we are firmly set in the countryside but not too far from civilization either. 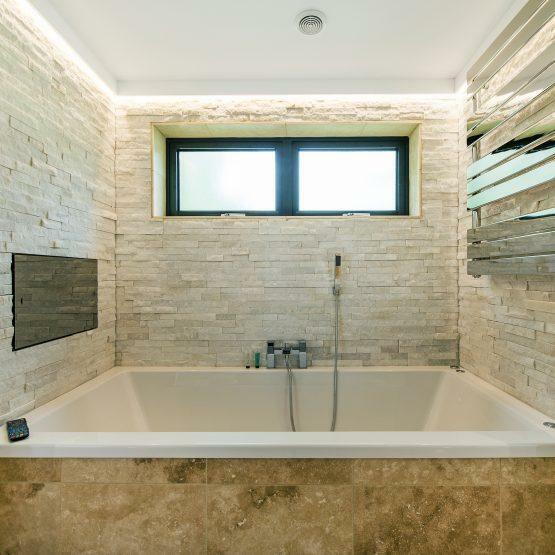 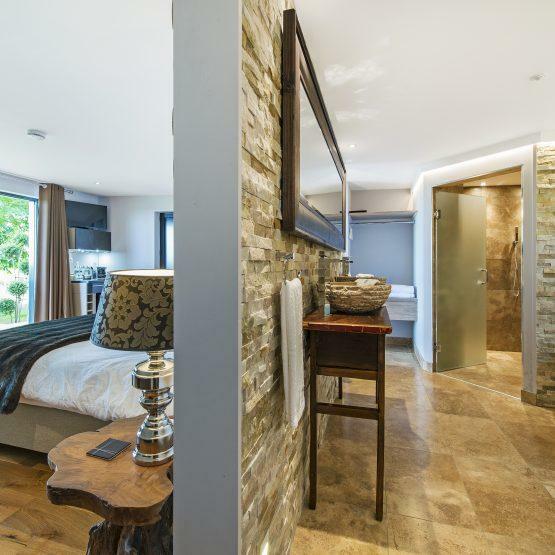 Each lodge is equipped with 2 person Jacuzzi baths, use of the wine barrel sauna, Nespresso machines, free use of the mountain bikes to explore the various trails around the estate and of course a fully stocked wine fridge!